Watch and listen LIVE 8.2. at 7 pm EET. Icelandic classical music is becoming increasingly fashionable in Finland, as Musica nova Helsinki is well aware. 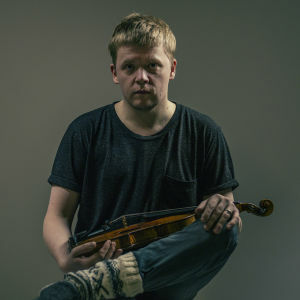 Violinists around the world are queuing up to play the violin concerto by Daniel Bjarnason, but the honour now falls to Pekka Kuusisto, for whom it was written. Also on the programme is the massive, electric TELEKINESIS by prog-oriented Tyondai Braxton. The interval at about 19.50. The concert will end at about 21:05, the late-night chamber music at about 21.50.